±1/8 inches at 50 ft.
Johnson has come up with a self-leveling laser that can project either three dots or three lines with its new Johnson Self-Leveling Combination 3 Line or 3 Beam Laser Dot. 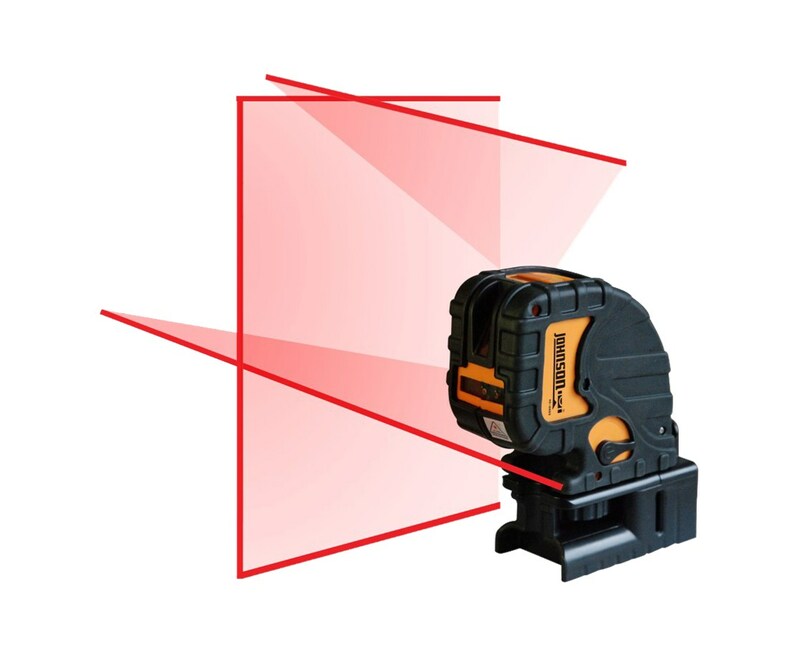 The beam laser dots point up, down and forward for plumb or leveling use. The two horizontal lines project from the top and front while the vertical line projects from the front allowing two crossbeam reference points. The lines or dots can be projected together or individually. 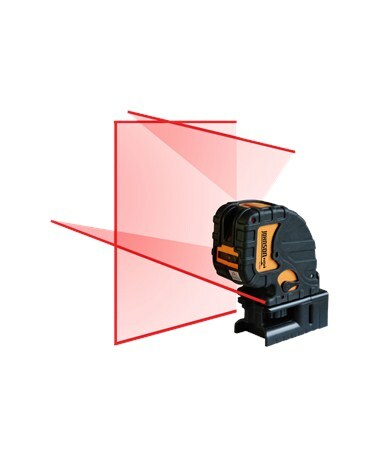 Self-leveling within ± 3 degrees, this laser has visual and audible alarms when beyond leveling range. With up to 150 feet interior range for lines and up to 200 feet for dots depending upon light conditions. The Johnson Self-Leveling Combination 3 Line or 3 Beam Laser Dot has an accuracy of up to ±1/8 inches at 50 feet. Its multi-functional magnetic base has rare earth magnets for use on walls, metallic surfaces or tripod. It also comes with 5/8"-11 and 1/4"-20 threads. 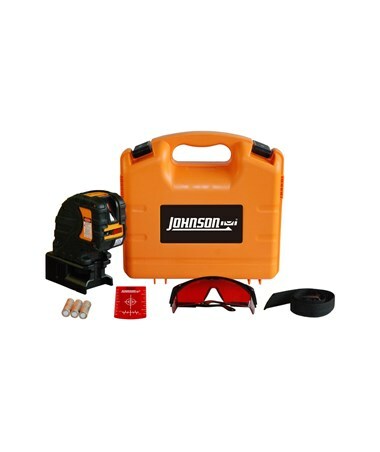 This Johnson Self-Leveling Combination 3 Line or 3 Beam Laser Dot also features a manual mode that allows the laser to tilt at extreme angles. It has locking mechanism feature that protects the inner pendulum during transportation. With an IP-54 rating, this laser is protected from dust and water splashes. The laser comes with multi-functional magnetic base, three "AA" alkaline batteries, mounting strap, magnetic target, tinted glasses, instruction manual with warranty card, and hard-shell carrying case. It also comes with a 3-year warranty.